StandUnited | Take a Stand. Make an Impact | Petition | It’s Time To Support Meaningful Eminent Domain Reform! 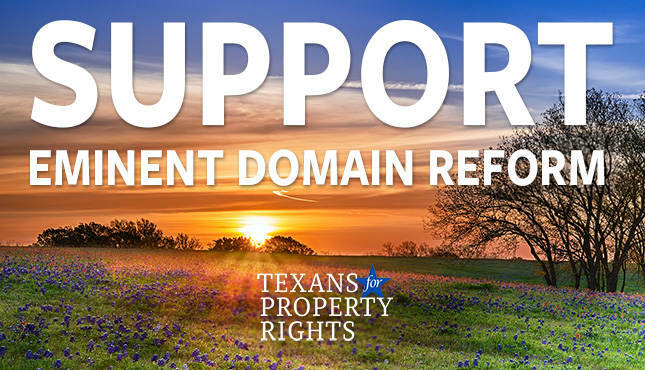 Texas Legislators : It’s Time To Support Meaningful Eminent Domain Reform! The issue of eminent domain abuse is front and center across the state of Texas. Landowners are fed up and tired of being taken advantage of in an unfair process that currently puts the interests and rights of the property owner at a disadvantage. As you know, the issue of eminent domain abuse is front and center across the state of Texas. As property owners, we are fed up and tired of being taken advantage of in an unfair process that puts our rights behind those of corporate special interests. Like you, we want to continue Texas’ incredible economic progress and growth. The improvements to the eminent domain process that we support will secure Texas’ role as an energy leader and accelerate the process of building the infrastructure needed to support our growing state and her economy. 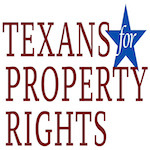 The current eminent domain process is unfair and does not respect our rights as Texas property owners. This legislation will fix that. Currently, eminent domain allows private entities to use a government power to take land for their own profit. Unlike governmental entities, such as cities and counties, these private companies are not transparent, fair or accountable to the public. This must change. A more equitable process will result in more positive feedback from property owners, meaning a quicker more congenial process with LESS litigation. We strongly support the passage of S.B. 421 to create a more fair, transparent and predictable eminent domain process in Texas. Please support S.B. 421 on behalf of me and every Texas property owner. Title --Select Title *-- Mr. Ms. Mrs. Dr.
Keep me updated on campaigns from Texans for Property Rights Don't list my name publicly.